These are my picks for the best games in 2008 in alphabetical order. 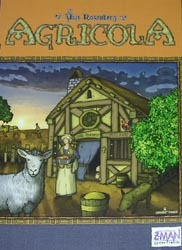 Agricola was the most eagerly awaited game of the year and, although it didn’t quite live up to the hype it received, it is still a very good game with lots of replay value due to the massive variety of cards. However, the family version without the cards is also a fine game in its own right. 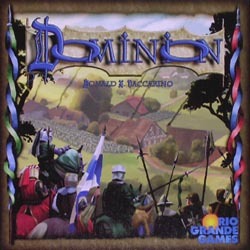 Dominion was another game with lots of hype and is a fantastic deck-building game that is fast to play and very accessible. As you play with only 10 out of the 25 sets of cards, this one can be varied so you never have to play the same game twice. And with lots of expansion cards planned, this should continue to get lots of play. 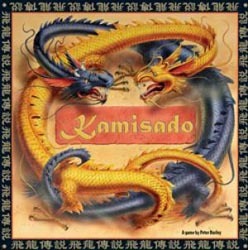 Kamisado may seem a strange choice as I am not a fan of pure abstract two player games but this is an extremely clever design and plays ever so simply. The idea of you determining which piece your opponent plays by moving to a space of that pieceâ€™s colour is pure genius. 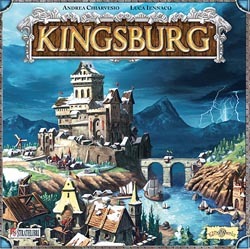 Kingsburg is a truly fun game where you allocate your dice to gather the resources needed for buildings, which not only give you victory points but other abilities for later in the game. However, each of the five rounds ends with the game attacking you and you potentially losing the stuff youâ€™ve acquired. 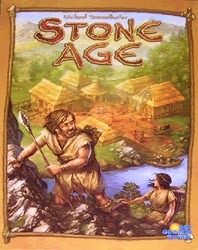 Stone Age is another in the line of games where you allocate workers to various locations to gain resources for buying or building things, along the lines of Pillars of the Earth. There is nothing terribly new in the way it is done but it all fits together extremely well and plays in a reasonable length of time. 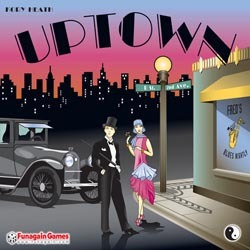 Uptown was our biggest surprise of the year. It is a very clever abstract game of placing your tiles to form the fewest connected groups as possible and the rules are so simple that you could be deceived into thinking the game is also simple. Far from it – There is a lot to think about every turn with plenty of opportunity to mess with other playersâ€™ plans over the course of about 30 minutes. I hope everyone had a great Christmas and received lots of games from Santa. To give you an opportunity to play one or two, here’s a reminder that the first session of the Shrewsbury Boardgames Club in 2009 will take place on Friday 2nd January at Garry’s house. An initial annual subscription for 3 issues is just Â£10 and I’ve gone ahead and subscribed. Take a look and maybe you’ll like what you see. The next and last session of the Shrewsbury Boardgames Club in 2008 will be held on Friday 19th December at Garry’s house. Pretty much the whole British board game industry expected again (JKLM, War Frog-Tree Frog, Surprised Stare, Ludorum. Reiver Games, Ragnar Brothers, Fragor Games and others. New Board Game releases expected from Tree Frog (War Frog) and others. To add to that we will build on the already successful evening games rooms at the Strathallan Hotel by offering board gamers and role-players longer to play free play drop in games and organised play sessions there from noon on Friday 5th June till late and on Saturday 6th June after the trade halls at the Clarendon close. Having spoken to John this evening, he has confirmed that this week’s session of the Shrewsbury Boardgames Club on Friday 12th December will be at his house. He also invited people to bring along any games they wanted to try. So, another 7 player Battlestar Galactica then?